Progress Software, a supplier of application infrastructure software used to develop, deploy, integrate and manage business applications, yesterday announced that it has enabled its Progress Apama algorithmic trading platform with ‘software-as-a-service’ (SaaS) to allow sell-side brokerage firms to offer both black box and customisable (white box) trading capabilities as a service to their buy-side clients. Apama maximises the use of SaaS through its graphical, web-based dashboards, a new API that allows trading scenarios to be initiated and monitored from remote locations and its ability to rapidly create client-specific white box trading algorithms. Using the SaaS model allows sell-side firms to more easily and swiftly deploy and customise Apama's white box trading strategies, the firm says. The ability to customise Apama strategies allows sell-side brokers to develop their own interfaces and trading algorithms as part of bundled offerings made available to their buy-side clients. Sell-side firms can also attract new buy-side clients by offering them access, as a service, to an innovative new trading platform. Buy-side clients can enjoy the benefits of being able to calculate more quickly the best stocks to trade and investments to make. Buy-side firms can access trading strategies recommended by sell-side firms, customising those strategies to suit their own investment criteria. 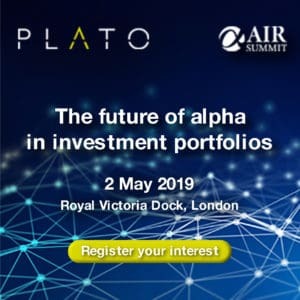 Included with the platform are a core set of pre-packaged, customisable, algorithmic trading screens, trading algorithms, and connectivity to the equities, foreign exchange, fixed income, and derivatives markets. “By taking a Software-as-a-Service approach at SEB, we can offer our buy-side analyst and trader clients a next-generation, web-based, algorithmic trading solution that will give them an edge over their competitors," says Christer Wennerberg, business development E-TCM, Skandinaviska Enskilda Banken (SEB). 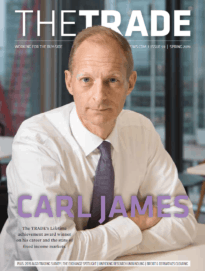 "Our clients can quickly and easily roll out of their own unique algorithmic trading strategies, back-test these strategies to gauge their effectiveness and alter them once live in the market, improve their risk management measures and optimise their pricing benefits," he adds. The Apama algorithmic trading platform has been adopted by brokerages including JP Morgan, SEB, Finamex, and Koscom (localised for Korea); the SaaS offering is also available through Progress Apama partner ULLINK, maker of the Odisys order management system.